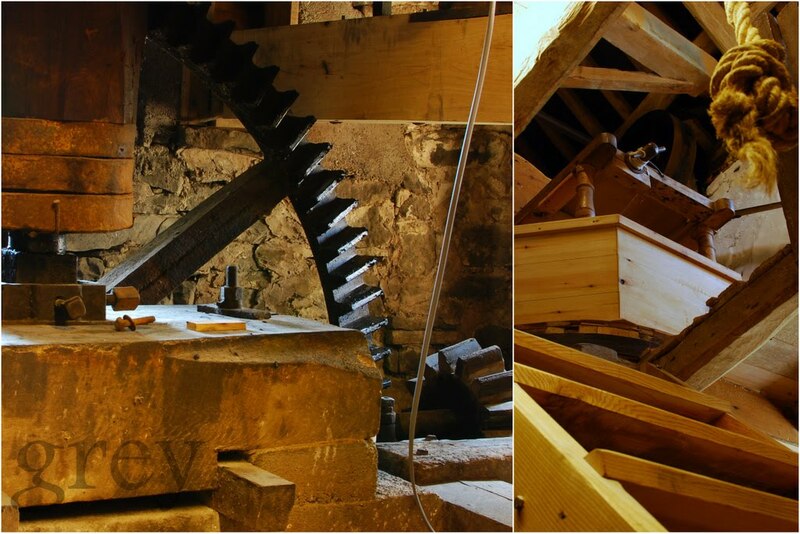 National Mills Weekend is a celebration of the UK’s milling heritage held on the second weekend of May each year. Nationally the weekend is organised by the Mills Section of the SPAB. As many wind and water mills as are able open on one or both of the two days of the weekend. This is a great opportunity to visit and look round mills, many of which are not usually open to the public. This year the theme for National Mills Weekend will be “Mills in Art”. Many of our Welsh mills have provided inspiration for artists over the years. Perhaps most well known are Aberdulais Mill and Rossett Mill painted by Turner, but have you seen the work of Falcon Hildred or the lovely mills in the collection of primitive drawings of views in Cardiganshire held in the National Library of Wales? National Mills Weekend provides the opportunity to explore and be inspired by some of these fascinating sites. Details of the mills open are on our North, South, South West and Central Wales pages and some are hosting special art themed events. In 2013 more than twenty Welsh mills were open to the public during this national festival, and this year we welcome more mills opening for the first time. Here is a chance to see fascinating mill sites that rarely open to the public such as Felin Fach, Blaenpennal or Dreifa Mills, Cwm Morgan, Carmarthenshire. Some of the working mills which open are more than 300 years old, yet are still efficiently doing the job they were built and designed for into the 21st century. You could visit the lead and silver mine at Llywernog, Ponterwyd, the woollen mill at Melin Tregwynt, Castlemorris nr. Haverfordwest or watch flour milling demonstrations at the working cornmills, Y Felin in St Dogmaels, Felin Ganol in Llanrhystud, Talgarth Mill, Powys and the only working windmill in Wales, Melin Llynon in Anglesey.